Meeting at The Masonic Hall, Station Approach, Ludgershall, Wiltshire. The Lodge meets at 6.15pm on third Wednesday in January, February, March, April, May, September, October, November and the first Wednesday in December. 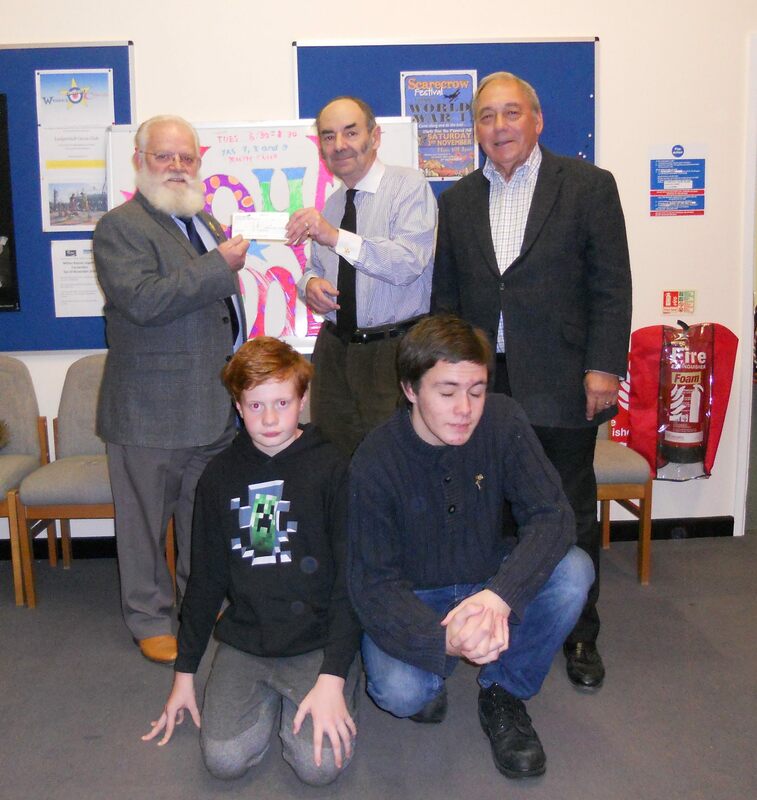 Border Lodge recently donated £400 to the newly opened Ludgershall Youth & Boys Club. Pictured from left Mayor of Ludgershall and trustee of Youth Club Mike Giles , Michael Meade on behalf of the Lodge and Lodge Treasurer W Bro Tony Pickernell who is also a trustee of the Youth club. In front are the only two members present not too shy to be in the picture! 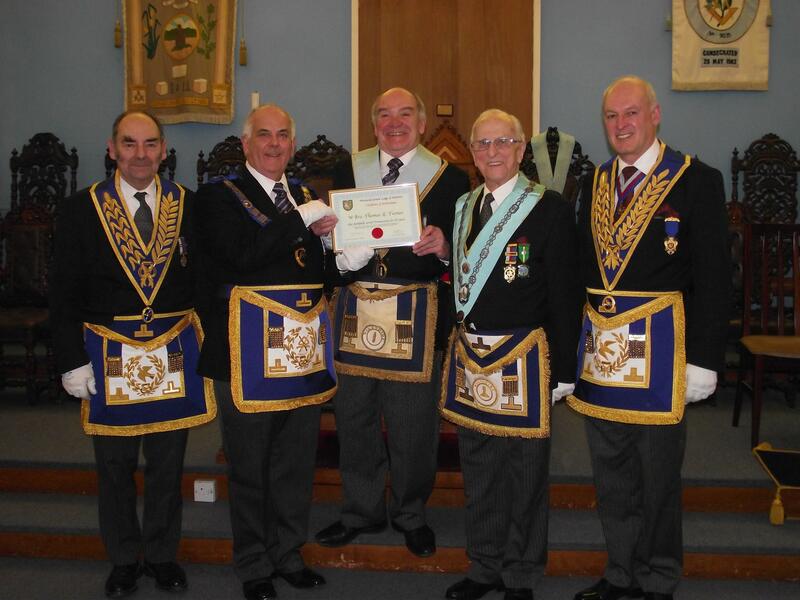 At a recent meeting of the Border Lodge No 3129 the Deputy Provincial Grand Master WBro David Davies presented a 50 year service certificate to WBro Tom Turner, seen here with WBros Michael Meade, the DepPrGM, Alan Faver (acting WM) and John Reid. In a wonderfully moving meeting held at Ludgershall the Past Provincial Grand Master, Francis Wakem led the tributes to W Bro Michael Meade who celebrates 50 years service to Freemasonry. Francis was joined by The Provincial Grand Master, Philip Bullock, Peter Winton DPrGM; Stephen Bridge APrGM; John Reid, Grand Superintendent, Martin Brown, PrGM MMM and the Master of Border Lodge and many friends of Michael. Masonic Peers were also pupils, albeit not neccesarily in the same year or class. Having proven to be a student of some talent, Michael gained a place at the University of Oxford and later the University of London where he graduated with a Bachelor of Arts Degree in Philosophy. On being asked whether a degree in philosophy had been of assistance, Michael responded without hesitation - "Oh yes, it has enabled me to argue the point on any subject whatsoever without the need to prove whether I was right or wrong". Michael entered the field of education as a schoolmaster first in Cornwall and later in the Thames Valley. Perhaps Cornwall needed a teacher with Michael's undoubted talents, maybe it was because as Michael exclaimed "I couldn’t get a job anywhere else" or of course it could have been due to a lack of Latin scholars in the locality. Bro Francis Wakem was tempted to use this oblique reference to reveal his own knowledge of Latin which he used during that part of his police career when prosecuting in the Criminal Courts. After a moment of conemplation he decided discretion was the better part of valour, contenting himself with the quote Ab uno disce omnes from one learn all. Aged only twenty-two years, Michael was Initiated in to Border Lodge No. 3129 in November 1965. WBro A G Burden was in the Chair, his Proposer was the Lodge Chaplain WBro W H Annetts and his Seconder the Lodge Secretary WBro J Whyt. They joined a veritable list of wonderful names in the Wiltshire Reference Book for that year, including those of Lord Methuen and the Earl of Radnor as Members of the Border Lodge. He progressed through the offices and was Installed as Worshipful Master on 21 April 1976, presiding over a Lodge Membership of 104. Michael remained in Office continuously for the next 32 years serving the Lodge as Assistant Secretary; Treasurer; Secretary; and Charity Steward. Michael was Exalted in the Supreme Degree of the Holy Royal Arch in St. Hubert Chapter No. 1373 in Andover and Installed as Most Excellent Zerubbabel in 1982. In 1984 Michael became a Founder Member of Border Chapter No. 3129 and Installed as Most Excellent Zerubbabel in 1986 and subsequently served as Scribe Ezra and Director of Ceremonies. He is also a Founder Member of the Wiltshire Chapter of First Principals No. 6731 and was Installed as Most Excellent Zerubbabel in 1994. Advanced as a Mark Master Mason in Border Lodge of Mark Master Masons No. 1143 in 1968 – 47 years ago - and Installed as Master in 1977, he is a Founder Member of Kennet Lodge of Mark Master Masons No. 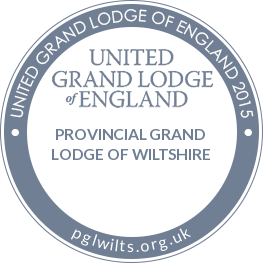 1599 and a Joining Member of the Wiltshire Installed Mark Masters’ Lodge No. 1460 where he was Installed as Master in 1999. Elevated in Elias de Derham Lodge of Royal Ark Mariners No. 442 in 1975 and Installed as Worshipful Commander Noah in 1984. A Joining Member of the Reginald W Short Installed Commanders Lodge of Royal Ark Mariners No. 1460 and Installed as Worshipful Commander Noah in 2010, he is a Founder Member and the primus Worshipful Commander Noah of the Stuart Parry Lodge of Royal Ark Mariners No. 1843. In 1998 Michael was Inducted into the Andover Conclave Order of the Secret Monitor and Installed as Supreme Ruler in 2004. Michael holds hold the rank of Past Grand Standard Bearer. Apprenticed in the Box Tunnel Assemblage of the Worshipful Society of Freemasons in 1996 and Installed as Deputy Master Mason in 2001. Michael is a Founder Member of the Ludgershall Castle Assemblage and served as primus Deputy Master Mason. 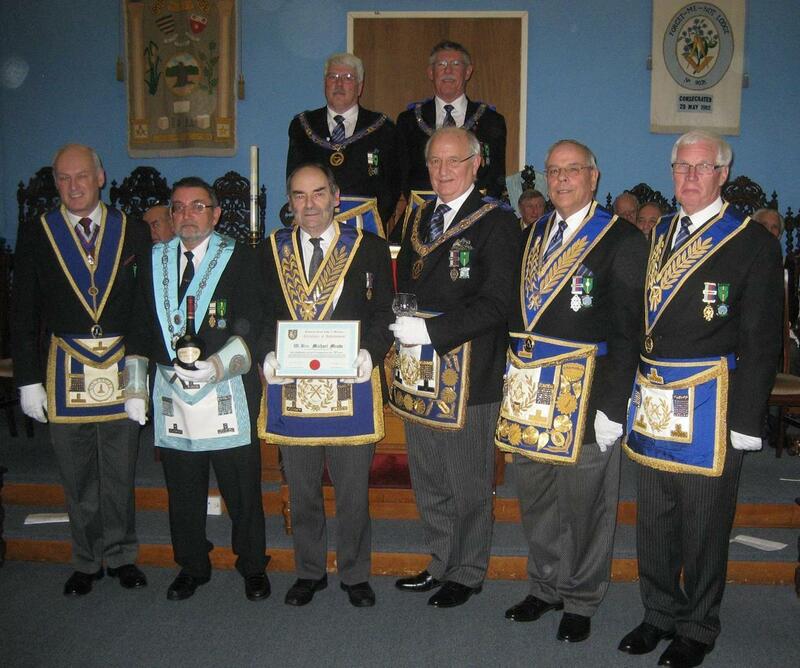 He has received Appointment to Grade VII Master Mason – being the highest Degree in the Order. As a Mark Master Mason. RWBro Michael Meade's first Provincial Appointment was in 1979 and then from 1995 until 2002 served as Deputy Provincial Grand Master of Wiltshire. In 2002 the Grand Master MW Bro HRH Prince Michael of Kent Appointed him Provincial Grand Master for Wiltshire, an Office held until retirement in 2010. Michael Meade's support for the Craft and Holy Royal Arch was recognised with Provincial Appointments over the years. However, in April 2004 and April 2005 the Grand Master and First Grand Principal, Bro and Comp HRH The Duke of Kent in recognition of his outstanding support for pure Antient Masonry Appointed Michale an Officer of the United Grand Lodge of England as Past Assistant Grand Director of Ceremonies and an Officer of the Supreme Grand Chapter of England as Past Grand Standard Bearer. An outstanding Volunteer within the local Community in this part of Wiltshire, Michael takes an active involvement with St James' Church in the Parish of Ludgershall and Faberstown and an equally active involvement with Ludgershall Sports Club. The Past Provncial Grand Master concluded his remarks by saying "Brother Michael Meade your enthusiasm and support for pure Antient Masonry; for Masonic Orders Beyond the Craft; for the whole Wiltshire Masonic Family – and for the wonderful and precious gift of life in general is quite outstanding. I am sure all those present would agree with these sentiments. Without doubt you have lead an extraordinary life – a life you continue to enjoy to the full". At a meeting on 20th October 1904, to discuss the possibility of forming a Masonic Lodge in Ludgershall it was immediately decided to apply for a Warrant to form a Lodge. Loans of between £3.00 and £5.00 were promised by some of those present, to fund the purchase of furniture. The Lodge was to be called "The Border Lodge" and would meet at the Prince of Wales Hotel. Founders fee to be £2 2s 0d. This was followed by a very difficult start as, two days after the meeting, at which the Master elect had been decided, this brother died. Another brother's name was put forward but he decided that he could not proceed; so, at the third attempt. Brother E.C.Williams' name was put forward and he became the first Master. The work proceeded and in March it was agreed to write to the Provincial Grand Secretary to arrange a meeting with Elias de Derham Lodge (Salisbury) to ask if they would act as the Sponsoring Lodge. One more snag - one of the possible founders was declared to be "not suitable", he had already given £10 towards the furniture, By July 5th 1905 it seemed that things were moving. One of the founders, a Brother Staden, offered a room at the Prince of Wales Hotel, at a rent of £2 2s 0d per annum. Furniture was purchased, and an organ from the Church Authorities at East Cholderton for £10. Three dozen chairs for the Lodge Room, and first officers were willing to present the collars and jewels of their respective offices. Lord Radnor, the Provincial Grand Master, indicated that he would consecrate the Lodge on December 4th 1905 at 2.30 p.m.
As one could imagine, during the 1914-18 war matters were rather difficult, but towards the end of that time the Lodge had plenty of contact with the armed forces stationed in the area. The Lodge was even asked to support the formation of a Military Lodge to meet at Bulford Camp and although this was agreed, nothing came of it. However, between the years 1914 and 1920 St Patrick's Lodge No. 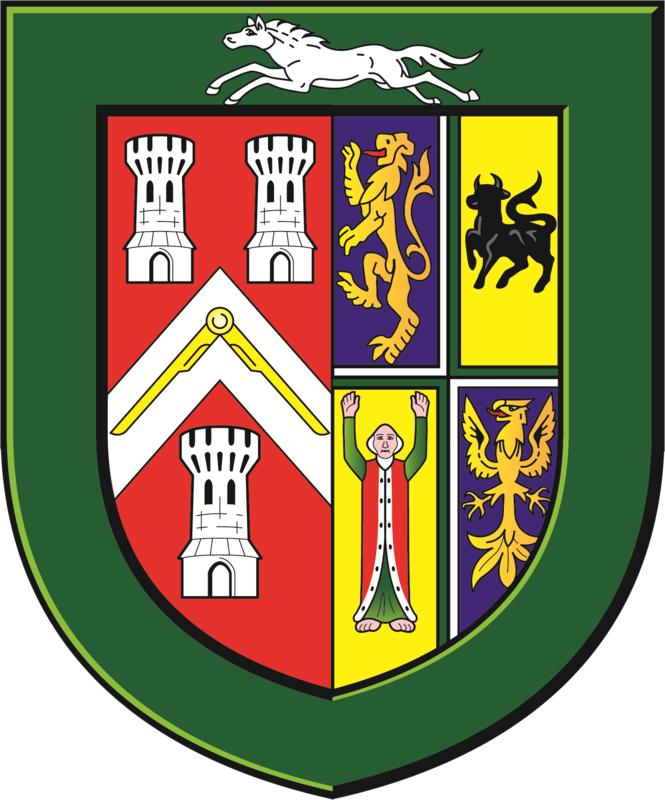 295 Irish Constitution (a military travelling lodge, attached to the 4/7 Royal Dragoon Guards) met at the Prince of Wales Hotel and the two lodges seem to have interchanged quite a lot. One member of this Lodge actually took the Chair of Border and performed a ceremony. It is very interesting to note that in 1996 this Lodge returned to the area and used the Lodge premises again.  Also, among the initiates in 1917/18, were army personnel from Sydney, Victoria, Brisbane and Western Australia. After the war, attendance naturally improved and during the twenties the Lodge prospered, membership rising to 133. Another period of disturbance came in 1939 at the outbreak of the second world War when, for three months, meetings could not be held as the premises used by the Lodge, had been taken over by the military. Meetings were often held on a Saturday and early in the day (NB the blackout being responsible for this) but the number of visitors was often high and they came from far and wide. It now seems that the minute books for the period from Feb 1943 to October 1955 have gone missing, but this gap was filled by the use of the minute book of the General Purposes committee. During these War years, and because of the number of visitors from various American Lodges, it became the practice that the second toast of the evening would be "The President of the United States and our Allies." After the War many letters were received from overseas visitors expressing their thanks for the welcome given to them in a foreign land. 1957 was another momentous year for the Lodge. The landlords, Messrs Strong & Co. advised that they were prepared to sell to the Lodge the premises that they occupied. The price, £3,750, was considered to be a bargain, and the decision to proceed with the purchase was quickly reached. Trustees were appointed, a Masonic Club was created and registered and quite a lot of building work was undertaken. Loans and donations were asked for, and the cash reserves and War Loan were called in, so that by the end of 1959 all accounts were settled. Later, the lower floor was made into a dining room. Sometime prior to the 1920's a peculiar custom arose, not always approved by senior members of the Craft, known as the "Wiltshire Flutter"! It was a form of salutation given to celebrate a special visitation, a particular charitable occasion, or as a thank you for some particular service to the Lodge. It consisted of the brethren of Border Lodge bending forward with their arms outstretched to the ground, drawing themselves up to their full height and at the same time clapping their hands above their heads and accompanied by a type of Indian war cry! It would-be interesting to see, and hear, should it be re-introduced at some future time! A new Lodge Banner was dedicated in 1984.